With the project name “Lactatus”, the Control and Systems Integration Research Group (GCIS) from the Advanced School of Engineering of Bilbao and the Physiology Department of the University of the Basque Country are working together with the company Grupo Campus to develop a system that allows lactate thresholds to be used to predict performance in endurance sports.It will initially be used for recreational runners, who will be able to identify their thresholds without the expense and inconvenience of blood tests. The lactate threshold is defined as the maximum intensity of exercise that an athlete can withstand before lactate starts to accumulate in their blood. Such an increase in blood lactate levels indicates that the runner’s energy demand has exceeded the capacity of their aerobic system to obtain such energy and that they are starting to put a significant strain on their aerobic system. No matter how powerful this is, this is not sustainable over time and quickly leads to tiredness.Therefore, an increase in the concentration of lactate in the blood is an indicator that the athlete is exceeding their limits and they will soon have to reduce their level of exertion if they want to complete the race. Knowing that maximum sustainable effort level is essential for any endurance sport, whether it is recreational racing, cycling, swimming or triathlons.As long as it is not exceeded, the athlete will be able to maintain the physical activity for a long time. Depending on their level of fitness and training, every person has a different threshold and, although experience itself can give us some idea, this threshold can be accurately calculated by performing what is known as a “lactate test”. The “lactate test” consists of the athlete performing a set of exercises of increasing intensity, with samples of their blood being taken during the breaks between each set, to analyse the levels of lactate.This makes it possible to produce a graph showing what is known as the “lactate curve”, identifying the maximum pace that can be maintained sustainably. The exercises should be done in a controlled manner, normally in a physiology laboratory, and the market price for this type of test is around 150 euros.Bearing in mind that a person’s lactate curve may vary at different points of the season due to their fitness and training, getting tested is not a very attractive option for recreational runners. 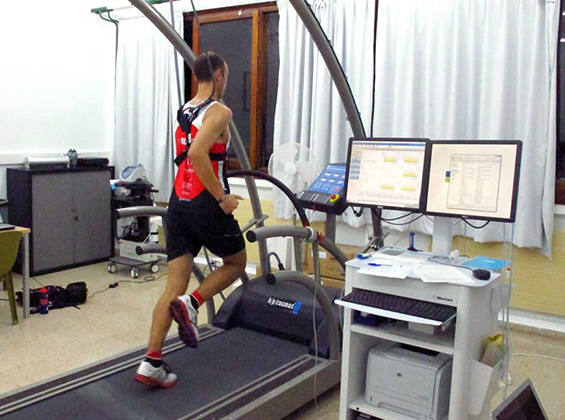 Several lecturers at the University of the Basque Country believed that it was possible to estimate an athlete’s lactate curve using data that are far easier to obtain, including heart rates, which are becoming increasingly easy to measure through all kinds of wearables, such as watches/heart rate monitors.In turn, Grupo Campus is a company that is interested in developing innovative applications and solutions for the world of sport. This alignment of interests and expectations lead to this university-business partnership project that will develop an application that allows recreational runners to estimate their lactate threshold without needing a blood test. With this purpose in mind, the project has performed lactate tests on over 200 runners to obtain data to design its system.Eva Portillo, the project’s lead researcher told us, “we don’t like talking about a 'model', because we don't think that there is a single model for estimating lactate curves for all circumstances". “Rather than that, we are designing a system that allows us to obtain the models that we require.”So far, data has been collected from these volunteer runners about their training and competitions, age, weight, height, temperature and humidity, perceived exertion scale (Borg), heart rate, etc. 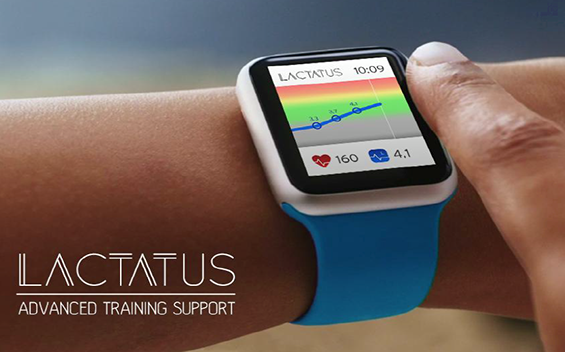 Using the most significant information, a system will be developed that allows us to estimate the lactate curve and it will be integrated into a web application provided by Grupo Campus. “We are planning to have the first viable version of the product by the end of this year,” explained Eva.“Our desire to design and develop a solution that is truly usable and useful for the defined group of athletes is posing new and ambitious research challenges for us. ”At the moment, the results are promising and the preliminary versions of the software are capable of accurately predicting the lactate thresholds of runners in 81% of cases (using data from test subjects who were not used to “train” the system). The team of university lecturers working on this project is completely multidisciplinary and it contains lecturers from three different departments:Eva Portillo Pérez and Itziar Cabanes Axpe, from the Department of Systems Engineering and Automation; Jon Irazusta Astiazaran and Susana Gil Orozko, from the Physiology Department; and Jordan Santos Concejero, from the Department of Physical Education and Sports.“ This is a highly rewarding partnership that emerged from a common interest and is now encouraging us to work together on other, different projects". The researchers from the Physiology and Physical Education and Sports departments are mostly focused on performing lactate tests and establishing criteria and guidelines from a physiological and sporting perspective, while the engineering department provides methodologies and innovative developments to address these issues.